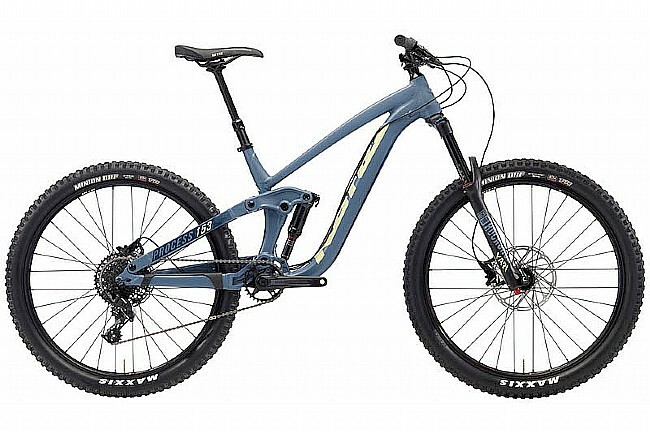 Frame Material: Kona 6061 Aluminum Butted 153mm Travel. Fork: RockShox Yari Solo Air 160mm Tapered 110mm Spacing. Rear Shock: RockShox Deluxe RT Trunnion, 153mm. Rims: WTB STP i29 TCS. Tires: Maxxis Minion DHF EXO TR Dual 27.5x2.3". Manufacturer Warranty: One-year limited, extendable to lifetime with online registration.